600RR.net > Meeting Point > North, Northeast & Northwest > Who here is an Ohio rider!! hello Ohio riders!! just wanted to give a headsup. i am the assistant director of Tracktactics mid-atlantic region and we have a couple dates scheduled at nelson ledges for trackdays next summer. we are also in negotiations for a couple dates at mid-ohio raceway. the rates are cheap and there is no better and safer way to ride your RR to it's ability and yours, than at the track!! check out our schedule and join the forum! I tried to register to check it out. PIA and still wont let me look. Toledo area, route 105 runs from Sandusky to bowling green, then there's the Perrysburg to napoleon run I think that's 24 west?,hop over the river at Defiance or further west and come back up to delta,delta to swanton,and back into Toledo. Can make a full early day out of it if you go Toledo to sandusky and start there and bring 75 north back into perrysburg and start the other leg of the ride, 200 or so miles round trip. Hey Streetsboro we should meet up and ride some time. Im from Kent. Always looking for new spots and people to ride with. Stow rider here! so close. I work crazy hours, but Im up for a ride when I can make the time. oh and midwest has a bigger ohio group. Last edited by pauli18; 04-24-2013 at 04:52 PM. For sure! I'm up for riding any time on the weekends. Just let me know! Last edited by Towmader; 05-12-2013 at 06:50 PM. columbus rider here! OSU campus area! 07 Cbr 600rr Red/Black (Current) : Two Brothers Exhaust CF, Dyno PCIII, Vertex levers and lowers, Pilot Powers, Flush Mounts, Integrated Rear, Sliders. 07 R6 Charcoal black/gold (Sold):too many upgrades to list. Anyone around zanesville? Im wanting to hit up some good riding and or bike nights. Just moved here and wanting to get out and see what goes on. Cleveland here. Lakewood to be precise. Lets get a group ride together before the end of the season! Heading up to Sandusky Friday. Won't be on the bike though. Akron area, ride when I can. 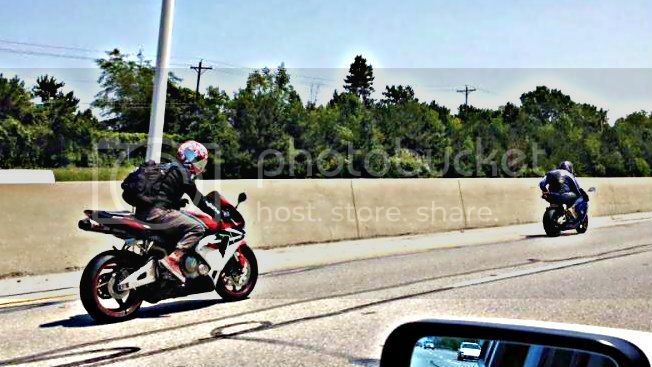 I have one other 600RR that I ride with regularly. He's not on the forum. They like to screw around at dragway 42 most Friday nights too, a friend has a ZX14 drag bike he competes with (bright green, hard to miss). Sometimes we bring our cars instead but it's fun either way to hang out. I'll be at cedar point on Saturday with the lady. Every Friday night they have like an open test and tune? Ha, I'll be there Friday with mine. Staying at Kalahari that night. Yes, with the few exceptions of an event but they usually still have it but it's just busy with the excess of actual racers preparing for the weekend. I have friends going out there tonight but I won't be. Look for a green zx14 doing low-mid 9s. Thread revival!!!! Mantua Ohio here....new rider...who out there is near me?!?!?!? Akron, Cant wait for descent weather! 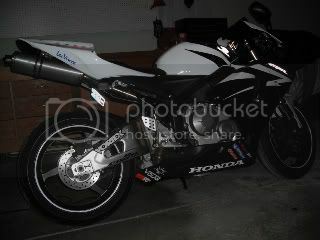 Working on my new/05 CBR600RR. Doing a Dragon Ride end of June and will be getting miles all summer in OH/WV/PA.